After listening to one too many sad attempts made by Blair to change the lyrics to 50 Cent's "Candy Shop" to something about salad, I finally made it in to The Salad Shop for lunch. 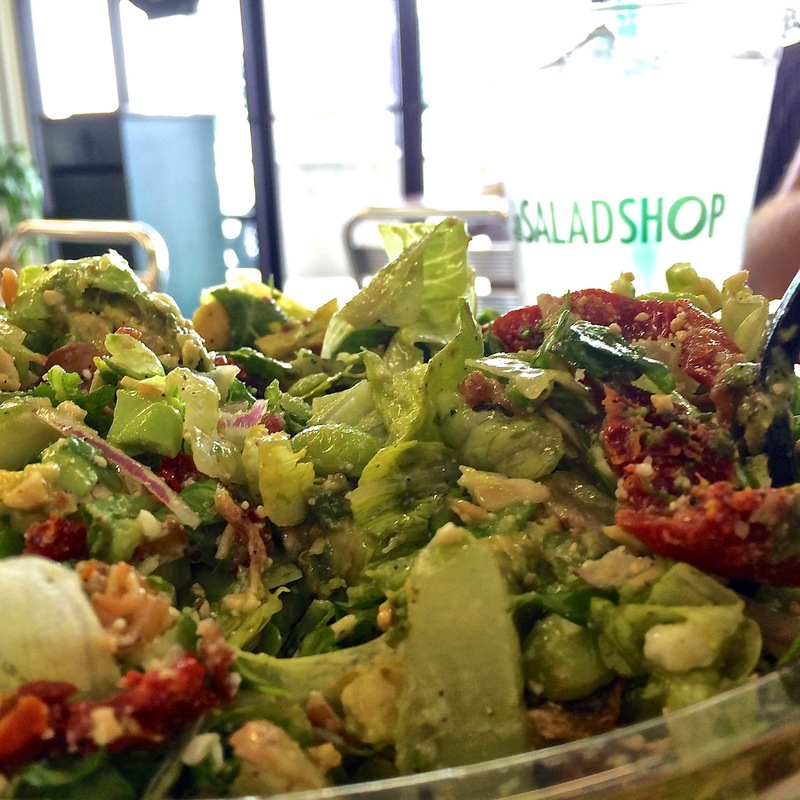 They have eight signature salads for the indecisive, but the coolest thing about The Salad Shop is their "build your own salad feature." While you can find this model at a few other places in town, The Salad Shop has four different types of lettuce, 52 toppings, and 16 dressings to choose from (you can even turn your salad into a wrap). It's like the mad scientist lab of salads! I mixed some romaine and arugula together and added in edamame, sliced almonds, feta cheese, red onions, sun-dried tomatoes, bacon, and avocado and had it tossed in Hanley's Sensation Salad Dressing! They throw it all in a bowl, chop it to bits, and boom! Whether you're on the go or have a minute to sit down and relax, The Salad Shop is a great place to veg out.